I’ve been vaguely aware for a few years that Women in Translation Month, or #WITmonth, happens in August. And I have read many impassioned posts from #WITmonth founder and blogger Meytal Radzinski, aka Bibliobio, about the sorry state of gender representation in translated lit. Fewer works by women are translated into English, and even fewer of the women who do get translated are reviewed in major publications. That second stat could kickstart a vicious cycle: fewer reviews means less attention which means lower sales which means publishers take fewer chances translating women, which leads back to fewer women translated… that’s simplified, but you get the picture. But it took a booktube readathon, of all things, to spur me into action. Well, “action” – I made a list! But I will eventually choose a book and participate in this readathon. That’s a few steps up from slacktivism, right? This list was longer than I though. Once you get away from French, Russian, Spanish, German, and Japanese, it gets harder to find books, or at least, books I’m familiar with and want to read. So, I turned to Twitter. And man, did Translation Twitter come through! Here’s a list of books that were recommended to me, based on this one tweet. Not all the books will work for this readathon, since I didn’t list the full 15 languages that are ineligible, but it’s a great starter pack for books by women in translation from non-standard languages. Books are in alphabetical order by language, then author, and those marked with an asterisk were recommended more than once. I’m a bit overwhelmed! You’ll have to tune in during the Women in Translation Readathon to find out what I choose. I’m leaning towards the Dorthe Nors, which was already on my TBR. Which would you choose? That’s quite a list of recommendations you got! Swallowing Mercury is fantastic — I read it for Novellas in November last year. 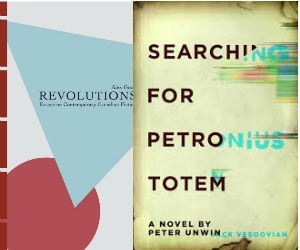 I’ve got some short fiction by a Colombian author to read for this #WITmonth, and if I get time also a Ferrante novella and a nonfiction work by a Chinese author. I love how many translated works are shorter. Wonder why that is? Well I would recommend The Waiting Years or Masks by Fumiko Enchi (Japanese), neither of which are on your list 🙂 and Kristen Lavransdatter, of course, but you’d need much more than a week to get through that epic! Good luck, whichever you pick. and then, of course, I’ve just noticed that you’re asking for something *other than* Japanese. D’oh! Haha, yes, I’m being difficult! Kristen Lavransdatter sounds like a contender for a future read-along, I like those to be over 1,000 pages. And there’s a beautiful Penguin Classics edition. I agree, it seems to have broken out this year. Good thing. The stats really are dismal. For Greece suggest Ersi Sotiropoulos. Fantastic recommendations and I’m happy to see some Welsh lit on the list too. 🙂 I think most people think Welsh writing only goes as far as Dylan Thomas but there is such a plethora of literature – it’s just rarely translated into English. Yeah, I wouldn’t be able to name a single one. Unfortunately this book (and many of these) are not at the library and are pretty expensive ebooks. That’s a great list, though I would be tempted to recommend a Polish book not on there, Flights – just marvellous! The Price book is supposed to be very good too. I loved Flights! I read it during the Man Booker International. I’ve got an ARC of her new one and will probably start it this month too, it just won’t work for my challenge because I’ve already read one trans. from Polish! Oohh Dorthe Nors is very good—I vote for that! I just read the Kindle sample and yep, I’m into it. I might wait for it to come in at the library though, the ebook is a bit pricey! They often are, I don’t understand it at all! I love this list! I’ve read Dutch, Swedish, German, Polish, Japanese, Greek, Korean, Inuktitut, French, and Spanish – which is more than I thought I’ve read. lol. I’m bookmarking this to see if I can find some. The only ones I own and need to read are Ru by Kim Thuy and The Elegance of the Hedgehog by Muriel Barbery – both French. I will get to the Hedgehog one day – it’s on the 1001 list. I’ll let you know which one I choose for this readalong, I’m pretty much down to either Purge or Soviet Milk. For what it’s worth, I’ve read two from your suggested list and enjoyed them both. In a Dark Wood Wondering fit right in with the medieval fantasy stuff I was reading at the time I read it. It’s not fantasy at all, though. And I liked Eva Out of Her Ruins. It was not at all what I thought it would be, but I liked it quite a bit. Many works in translation are novellas, here in France, they read loads of short books and it makes me wonder why so many novels in English are so long. So I’m going to recommend a novella translated from French, one of my favourites, it also an epistolary novella, a letter from a woman to her friend on the eve before she is coming to visit, it’s a kind of lame,t and something of a classic now. So Long A Letter by Mariama Bâ.